Charles Swinburn had financial problems. He was head of the Crowther Electromotor Works, and the country was in the midst of a "slump" (recession?). He was quite sincere in his wish not lay off his workers, and he badly needed to buy new machinery so that he could place competitive bids for jobs. He also wanted very much to marry Una Mellon who would not settle for an impoverished man. Charles had put a lot of his own money into the company, he was overdrawn at the bank, and the bank and a moneylender would not loan him any more. 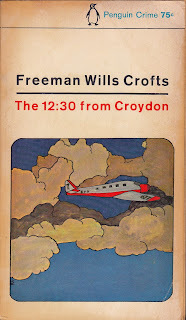 As a last resort, Charles appealed to his uncle Andrew Crowther for money. Andrew had been one of the founders of the company, and he had retired with a payment of 190,000 pounds for his share of the company. He was now ill, and somewhat senile. Charles would receive half of Andrew's estate upon Andrew's death, and he wished to borrow against that amount. Charles had hoped for 2000 pounds, but Andrew only gave him 1000 and told him to work harder. Charles decided that the only solution to his problems was to murder Andrew Crowther. 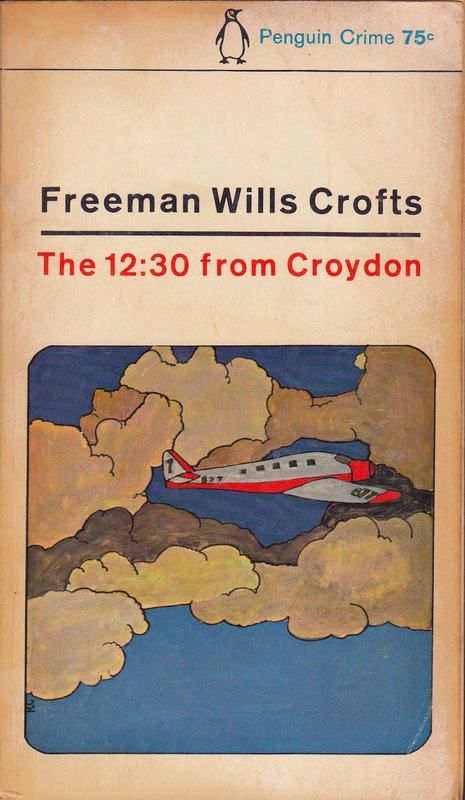 Andrew Crowther died on the 12:30 flight from Croyden. This book presents the elaborate steps which Charles took to murder his uncle in a method which would not be detected. Charles is a sympathetic character. He is an ordinary man who realizes the moral consequences of what he is planning. He also recognizes the need to keep his factory workers employed, and he really loves Una Mellon. Then Inspector French takes over the case of Andrew's death. It had been declared a suicide, but the police were not satisfied with this verdict. The result is inevitable. I really enjoyed this book, and I highly recommend it. Most of the book deals with commission of the crime rather than the detection of the murderer. The reader sees the events through Charles' eyes, and, at times, cheers on his efforts. This book was published in 1934. It no longer seems to be in print, but used copies are available.